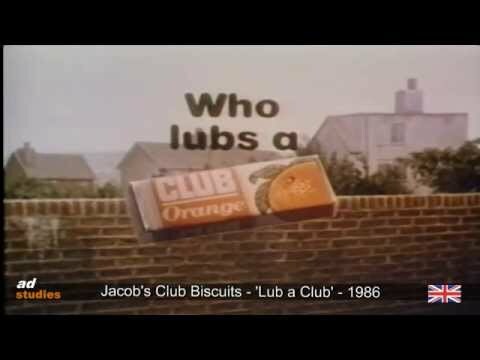 Club Biscuits - Do You Remember? Well, actually I will - how did you eat it? I used to bite all the chocolate from all round the outside edges and then munch it. Yum! Do You Remember Club Biscuits? Who else remembers the TV advert from the early 80s (or thereabouts), in which the Beach Boys song 'Barbara Ann' was performed, except they were singing "Bar-bar-bar, bar-bar-a-Club"? I seem to vaguely recall it being set in a courtroom, but I could be wrong about that. Anyone remember the ones with raisins in? I think they had a purple wrapper. I haven't had a Club in years, mostly because the chocolate got thinner & thinner. Funny that, the advert ran from about 1974, that's 44 years ago, and you are 46 years old, so you wrote it when you were 2? Oh dear are you that desperate for attention? Anyway it was written by Cook and Greenaway, 2 famous song writers. Such a catchy tune/song! Shame you don’t get royalties!! You’d be a rich lady for sure!! In the words of the old birds eye advert "they might look same but they dont taste same"!. the new clubs aren't a patch on the old ones. Much as I liked Club Biscuits, the real genius lay in the minuture Club Bites. Do they still exist?